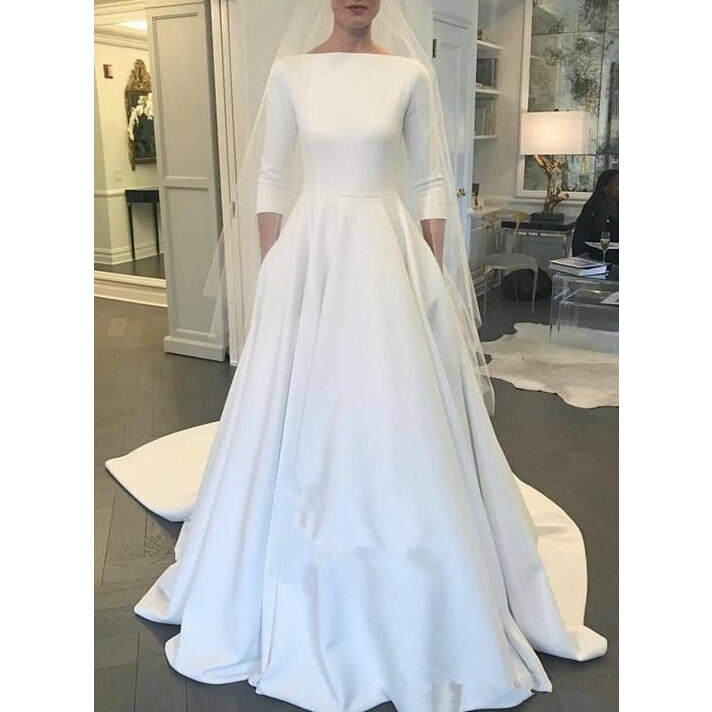 Meghan's wedding dress was by British designer Clare Waight Keller for Givenchy. True to the heritage of the Givenchy fashion house, the elegant lines of the dress are achieved using six meticulously placed seams. 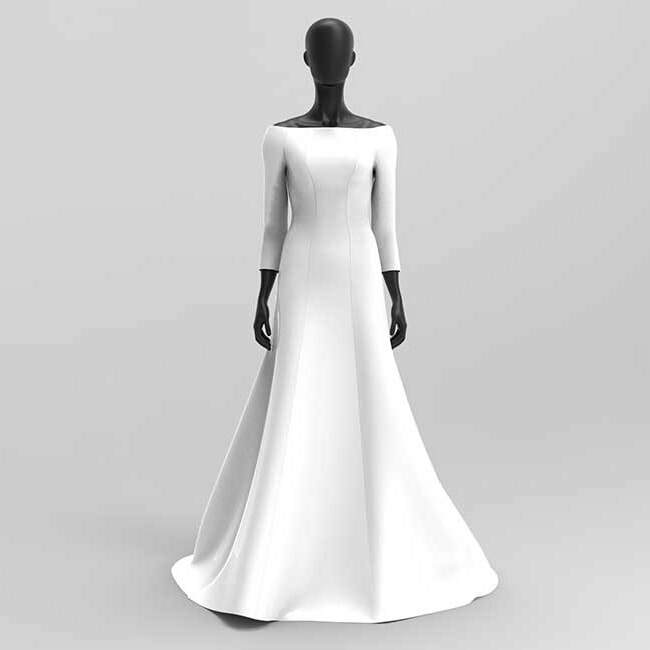 The focus of the pure white double bonded silk cady dress is the open bateau neckline that gracefully frames the shoulders and emphasises the sculpted waist. The lines of the dress extend towards the back where the train flows in soft round folds cushioned by an underskirt in triple silk organza. 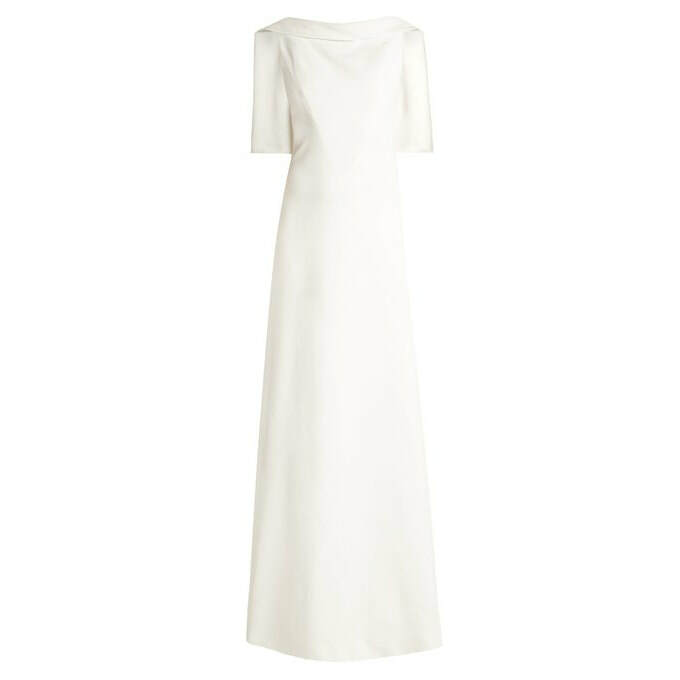 The three-quarter sleeves add a note of refined modernity. Clare Waight Keller designed a veil from silk tulle representing the distinctive flora of each Commonwealth country united in one spectacular floral composition.